Sometimes God, the Universe, Fate, or whatever you might call it puts people in our lives at the right place and the right time. 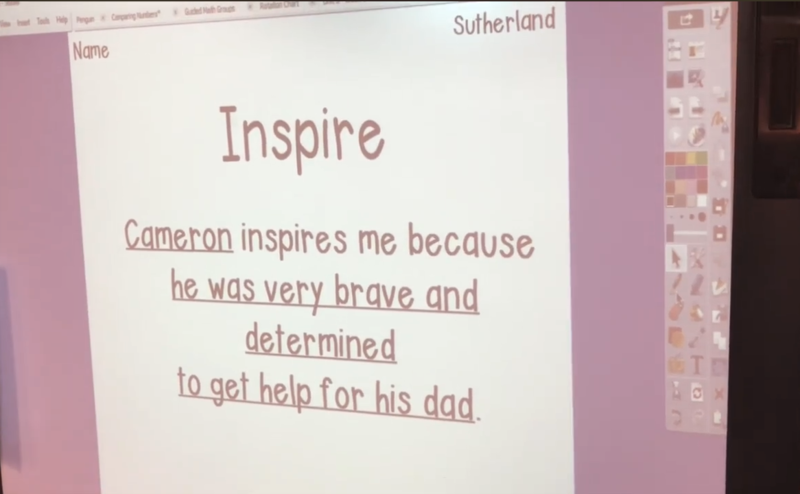 For 7-year-old Cameron, that person was his former teacher Keller Sutherland. Cameron was desperately trying to save his father’s life and thankfully Sutherland was there to help him. 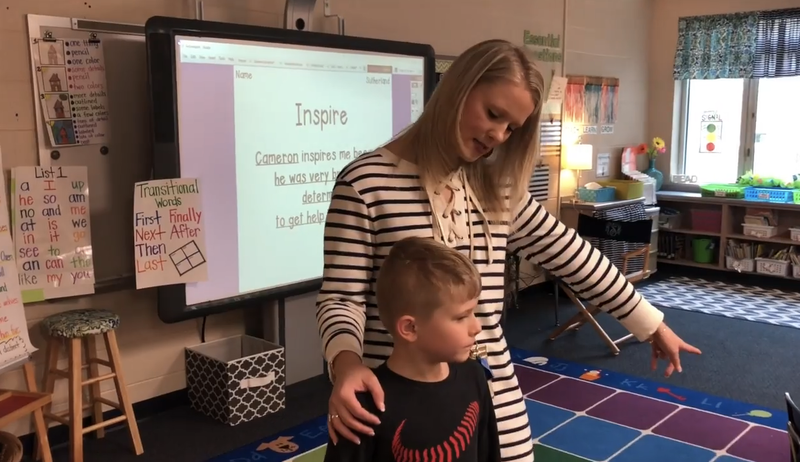 Sutherland, a first-grade teacher at Greenville County School in South Carolina, saw a little boy anxiously peddling down a highway on his bicycle. Cars were flying by the boy who was riding down U.S. 25 and she sensed that something just wasn’t right. 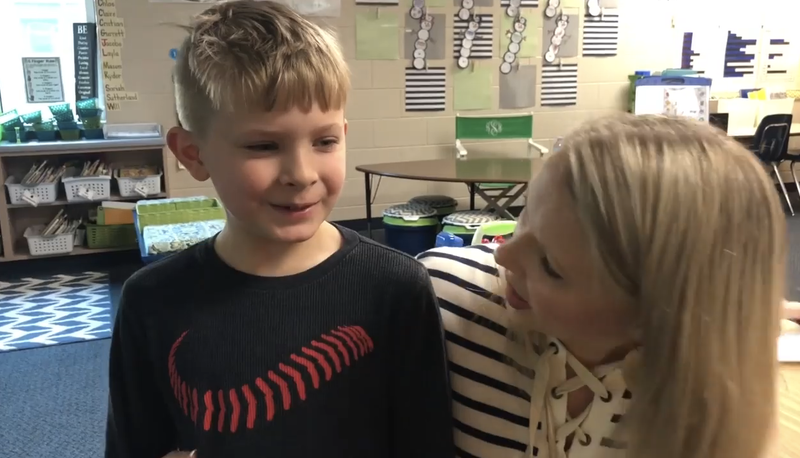 Sutherland decided to turn her car around and check on the boy to make sure he was OK. She didn’t realize that it was one of her former students until she approached him. Cameron told her that he was trying to get help for his father. His father is diabetic and collapsed inside their home. The clever boy tried to call 911 but he didn’t know the passcode on his father’s locked cell phone. He ran to a neighbor’s house but no one was home. So, he decided that he would ride his bike five miles to his grandmother’s house. Several people saw Cameron riding his bike along the highway and called 911. First responders ended up following Sutherland and Cameron to Cameron’s home where his dad was barely conscious on the bathroom floor. Thankfully, his dad was treated on the scene and has since recovered. Sutherland says that Cameron is the actual hero in this story and that he is the “bravest little boy” she has ever seen. She says she was just grateful to be in the right place at the right time where she could help. 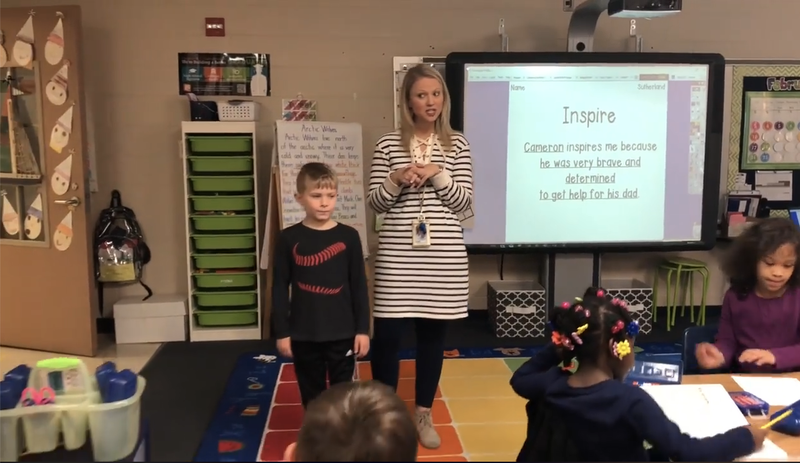 Greenville County Schools applauded both Sutherland and Cameron for their efforts on Facebook. 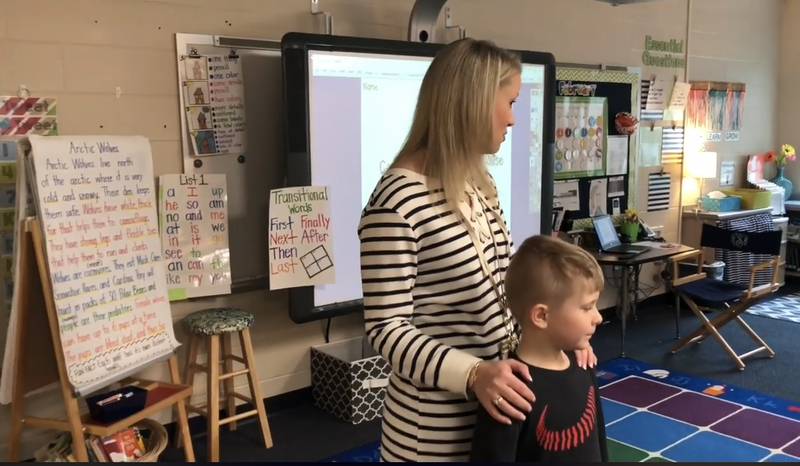 “Teachers create bonds with their students every day. 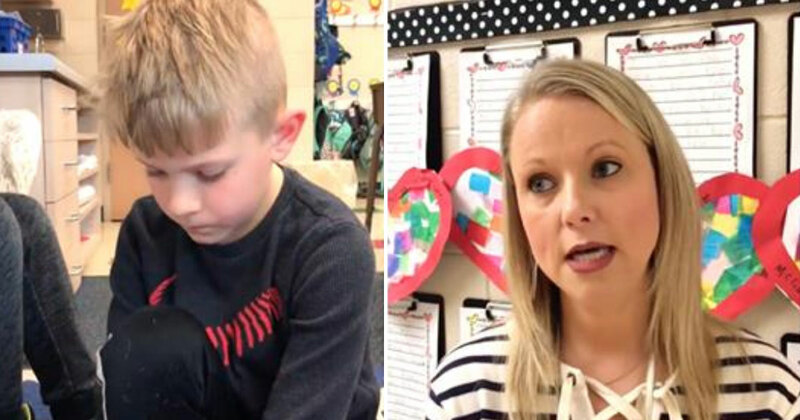 This week a teacher and student saved a life,” their Facebook post read. Ellen Woodside School’s Principal Shawn McCain says that they are taking this story as a lesson and are going to make sure that their students know how to make emergency both regular phones and cell phones. Learn more about this story in the Facebook video below. Teachers create bonds with their students every day. 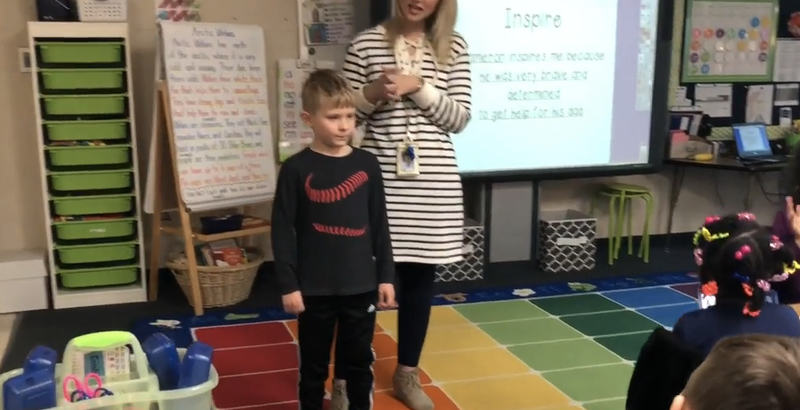 This week a teacher and student saved a life. Keller Sutherland was driving home from Ellen Woodside Elementary when she saw a child riding down Highway 25 on his bicycle. The child appeared scared and was peddling as fast as he could. 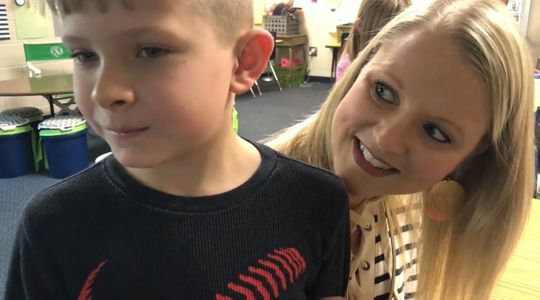 Sutherland recognized the child as one of her former students. With her help Cameron was able to get home safely and contact first responders to revive his unconscious father.